That’s right. 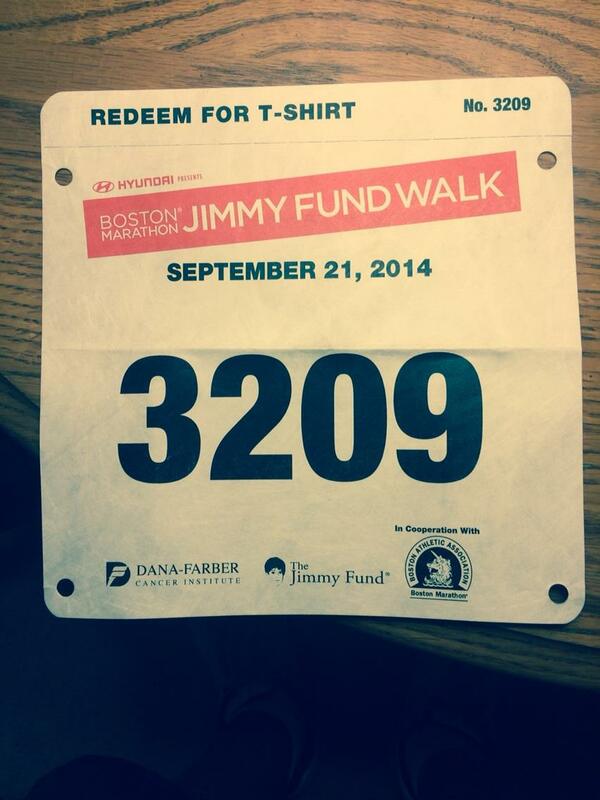 This Sunday, my dad is walking the entire 26.2-mile Boston Marathon route for the Jimmy Fund Walk. Personally, I think I’d rather run a marathon than walk it – I’m too impatient. But he is amazing and has been training for this all summer, and even did a full 26.2-mile training walk last weekend. So if you have a few dollars to spare, please consider supporting my dad. The money goes exactly where the money for my 5K went (that so many of you helped with!) – research and patient care at Dana-Farber, for both kids and adults.